TH-50 was re-badged Sony portable. TR-800 was an RCA engineered and built VTR, likely why it has the "TR-" designation, as all the RCA Quad recorders did. While the TR-800 was developed by RCA, the scanner assembly and upper drum could be replaced with Sony BVH-1100A parts. 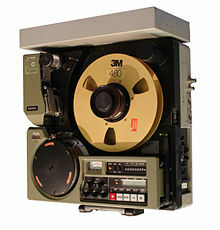 In 1983, RCA turned to Ampex for supply of Helical VTRs.